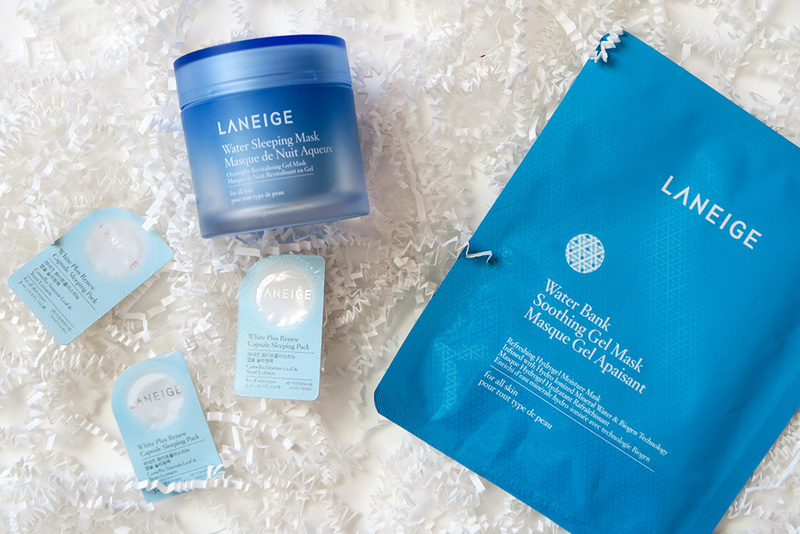 You guys already know about my obsession with Laneige – I’ve previously raved about them in my reviews for the Multiberry Yogurt Repairing Mask and their Advanced Hydration Kit. I’m so happy that Sephora is carrying more Asian skincare lines – it means lower pricing and easier access! Now I don’t have to wait a month for Korean cosmetics to arrive! Laneige recently sent me some goodies that will be launching this month at Sephora. Let’s take a look, shall we? Okay, this isn’t exactly a new launch. 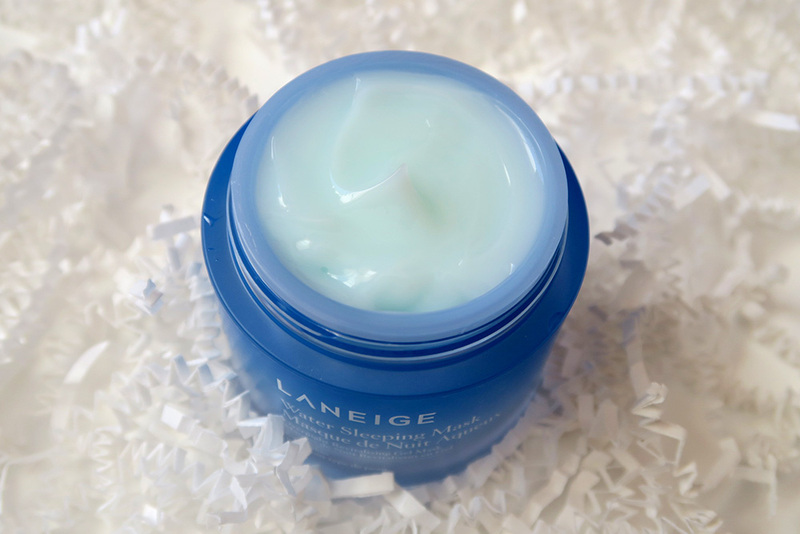 In fact, this is one of Laneige’s most popular items! I was using the small pot from the trial hydration kit (which I had just run out of, so good timing), and Laneige was ever so kind to send me a full size version! 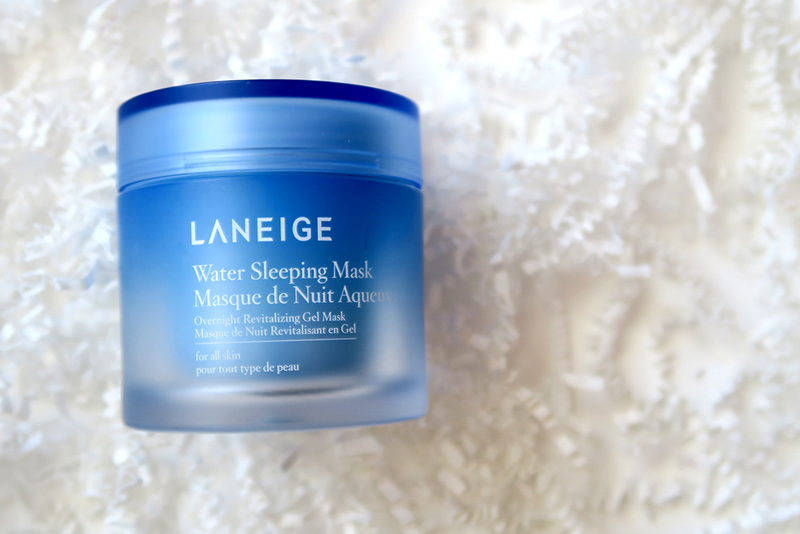 he Water Sleeping Pack is the spotlight product on Laneige’s brand page. Its a highly concentrated overnight, revitalizing gel mask that absorbs instantly and works while you sleep to deeply hydrate skin. It claims to deliver intense doses of moisture to stressed, parched skin. Texture: Thick and gel like. I absolutely love gel moisturizers, so this is a win in my books. It isn’t sticky at all, which is very nice for an overnight mask. It takes a few seconds for the gel to set before sinking into the skin. Scent: The mask features an aromatic scent with notes of orange flower, rose, and sandalwood that relaxes and helps sleep. It’s an incredibly relaxing smell, and definitely helps me calm down before bed. I like smelling it straight from the tub! The packaging of these caught my eye – instead of being in a pot, the capsules come in sealed little pods which you peel back and scoop out. 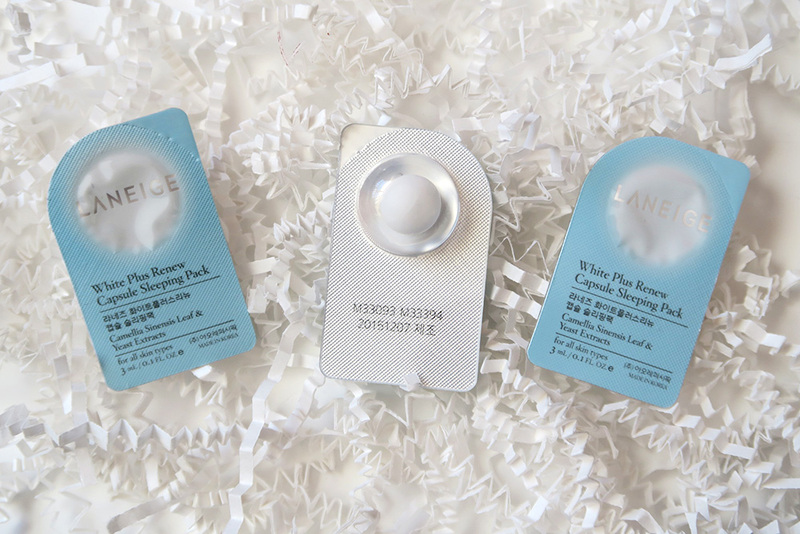 Laneige Bright Renew Capsule Sleeping Mask is a brightening sleeping mask featuring a rich brightening ampoule floating within a hydrating gel cream. An optimal ratio (3:1) of hydrating gel cream and brightening ampoule hydrates deeply while brightening skin overnight for a softer, brighter complexion! Texture: The gel part is thick and clear – it spreads well over the skin and feels a lot like the Water Sleeping Mask. The cream inside is quite interesting – it feels much lighter than the gel, and sinks in quickly. Scent: Similar to the water sleeping pack – relaxing and fresh, scented with a light floral fragrance that quickly fades after application. Application: When you peel back the foil, you will find a white blob of lotion floating in gel. I dipped my finger in and applied it to my face, mixing the two formulas together as I worked it into my face. I found that half a pod was enough for my face, so you could potentially get two uses out of one pod. At first the clear gel will feel tacky on the skin, but it quickly dries and absorbs into the skin. I really liked this product. 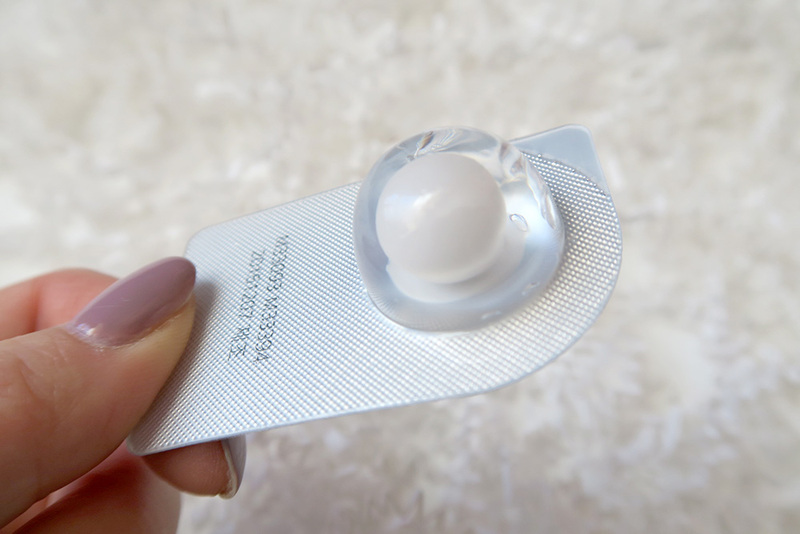 The capsules are marketed as being perfect for travel, as the disposable one-time-use capsules guarantee a hygienic experience each time. It made my face feel super soft and hydrated afterwards – this feeling lasted until I woke up the next morning! It’s like a super boost of hydration for your face. It will be available at Sephora for $36 CAD, although I am not sure how many capsules will be included in a box. 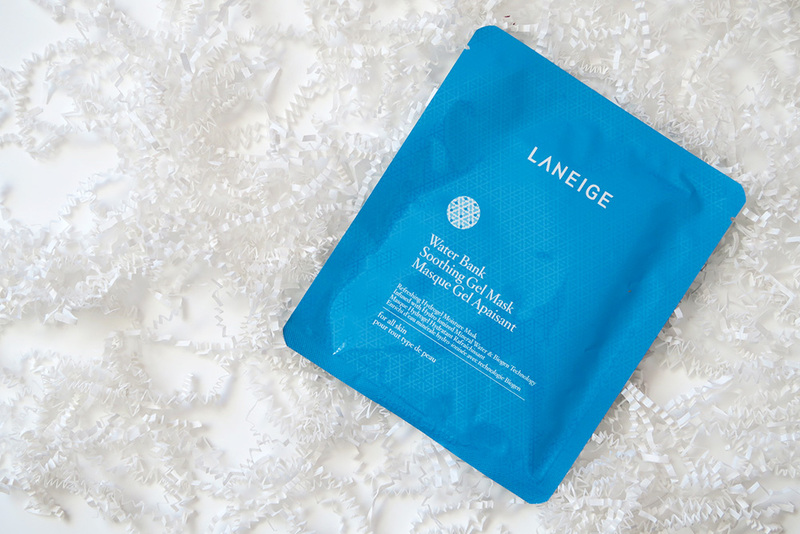 I do love me a good face mask, and lucky Laneige has delivered! What excites me the most is that its part of the Water Bank line, which works so well for my skin. 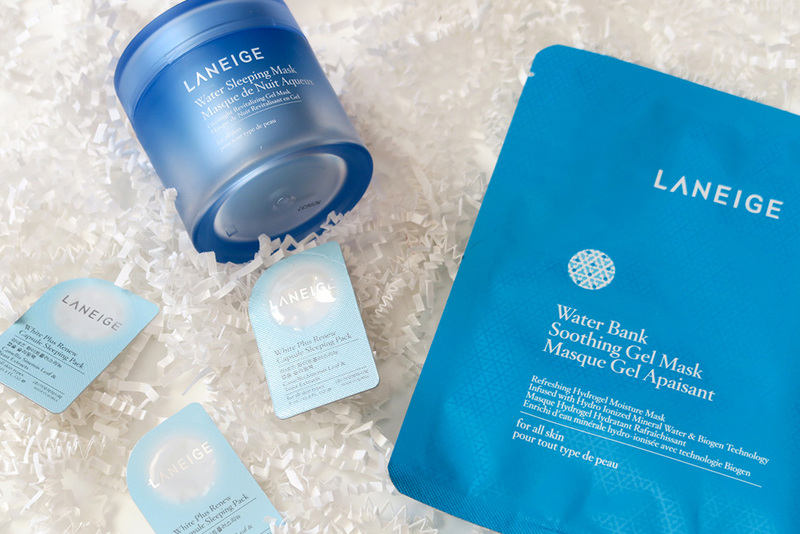 The new Laneige Water Bank Soothing Gel Mask, infused with skin-perfecting Hydro Ionized Mineral Water & Biogen Technology, delivers intensive moisturizing care while soothing skin upon application. As a result, skin is relieved of tension and stress! Texture: It’s a sheet mask is formulated with hydrogel to better deliver and retain moisture than cotton, while also adhering closely to skin for the perfect, non-slip fit. It’s a jelly material rather than the traditional wet cotton sheets. Scent: Same as the other water bank products – a relaxing, almost floral scent. Application: Like any other sheet mask – peel off the backing and apply to the face where the eye / nose holes are! Since it’s a gel rather than a cotton sheet, it feels more cooling and soothing and comfortable on the face. It doesn’t slip around either! Laneige continues to impress. Two new spring releases. both quite different but completely hydrate the skin! Are there any spring releases that you are looking forward to?